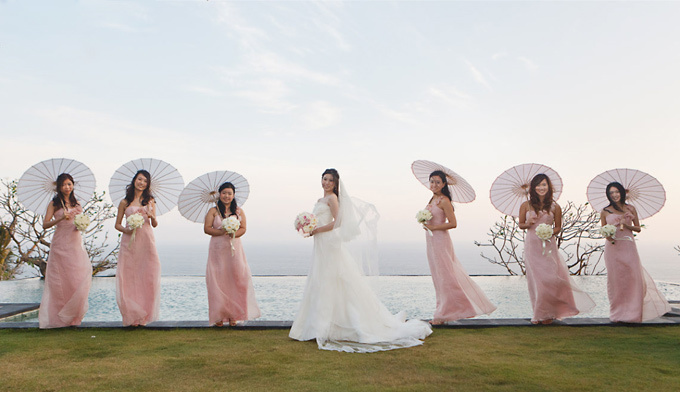 After being in the wedding business for years, I can comfortably say that we’ve seen and participated in countless gorgeous weddings all around the world. From New York to London, Africa to India and as far as Australia, we can say that we’ve worked on and seen a whole lot of unbelievable events! But every now and then I have the pleasure of working with a wonderful couple on a wedding that totally blows me away! Gladys and Henry were a really sweet couple we met with remotely (they live in my hometown, Hong Kong!) 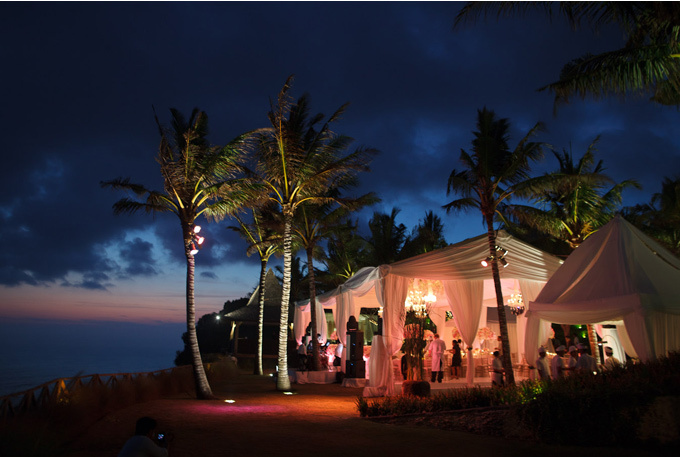 who were getting married in Bali. 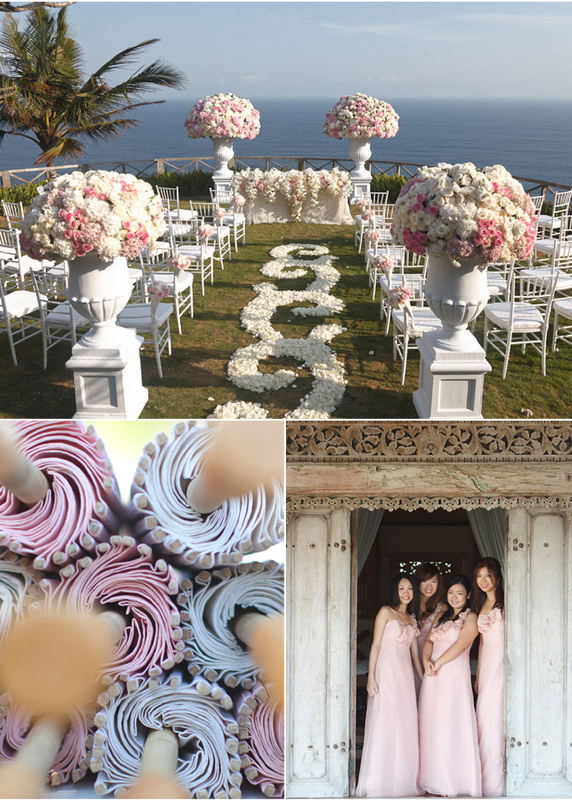 We worked together with them and their amazing wedding coordinator, Michele Li of The Wedding Company to create fabulous handmade silk wedding invitations. 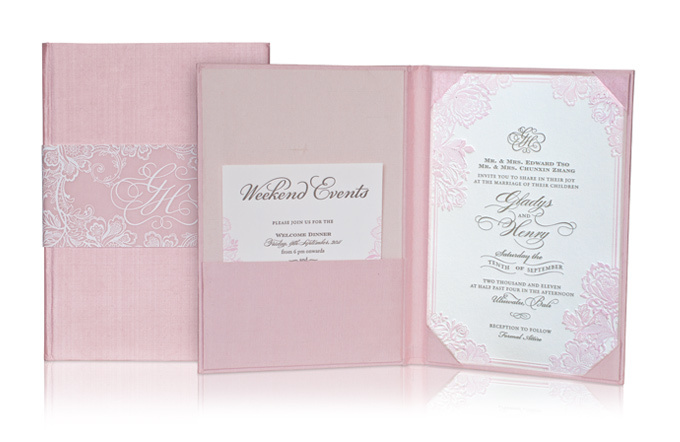 Each and every invitation was individually hand bound out of imported Dupioni Silk fabric and letterpress printed in gorgeous shades of pink, blush and ivory. What a statement! 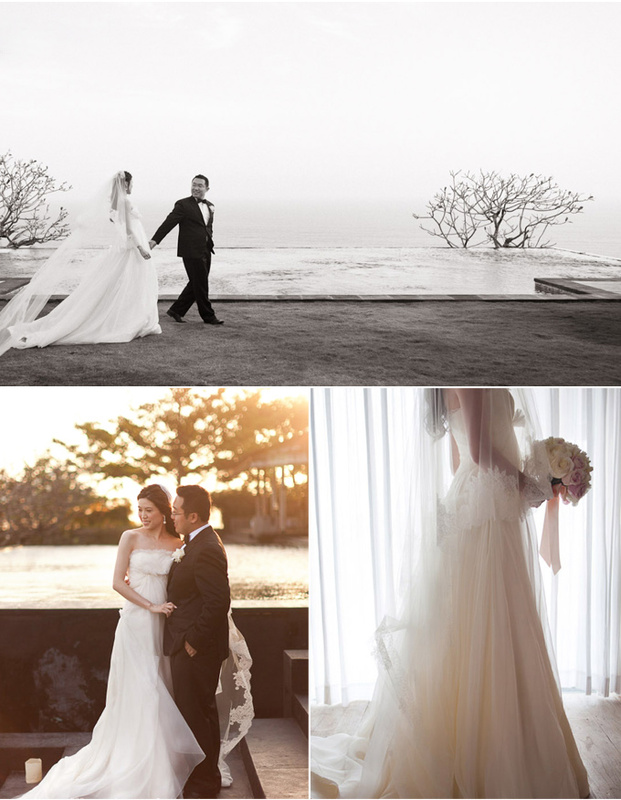 When I saw the pictures of their wedding, it literally took my breath away! It doesn’t hurt that the incredibly talented Ira Lippke was there to capture the details and moments of their special day. I couldn’t bear to condense these pictures into just one post so we’re going to be doing a two post special of this spectacular wedding. Now take a look for yourselves! This entry was posted in Flowers, Luxury Wedding Invitations, Romantic and tagged Bali, blush, couture, custom, destination, glamorous, invitations, pink, silk, unique, vintage, wedding. Bookmark the permalink. The gowns, the place, the flowers everything is just so beautiful! Wow! Great pictures! The wedding venue is really cool. Also, the wedding invitation is really elegant and unique. Congrats to the happy couple!! I fell inlove with those shots! 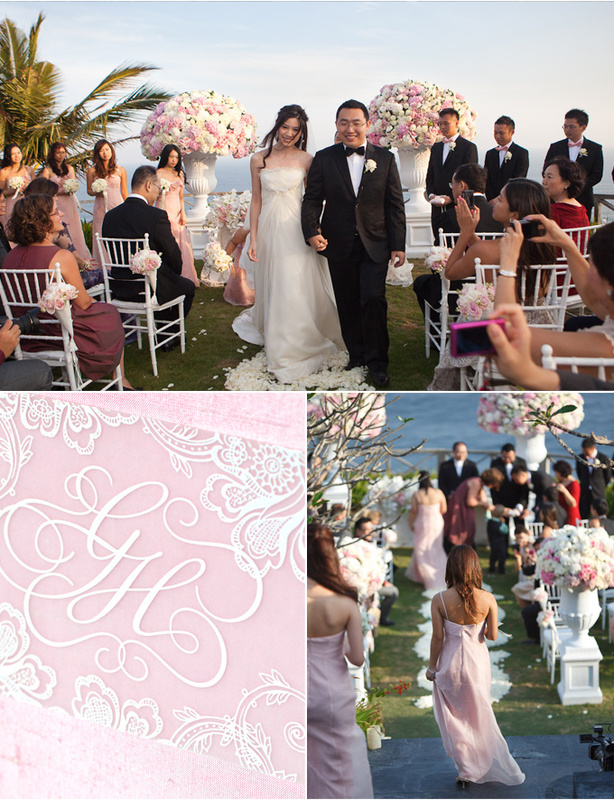 I would like to have the same wedding design as what you did!It was all perfect!